A Californian man has been arrested after human remains were found by construction workers in the backyard of a vacant home in December. 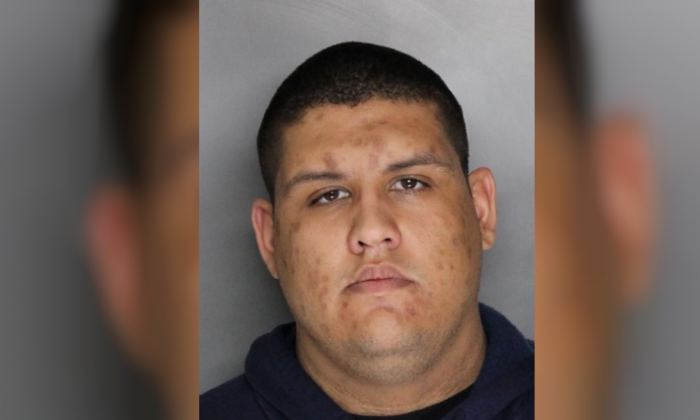 Michael Christopher Sager, 22, was arrested in north Sacramento County on Jan. 5 on suspected murder charges after a human skeleton was found in a shallow grave by construction workers, according to a police statement. Investigators believed Sager stabbed his housemate after a verbal argument in the summer of 2015, ultimately killing him. No missing persons report was filed for the victim, whose name has not been released, reported Fox News. Dimas Velasquez, the current homeowner who rented out the property, said he didn’t expect anyone would come across a situation like this. “[Sager] was the boyfriend of the daughter who lived there,” Velasquez told FOX News. “When I found out, I was shocked. I would have never thought it would have been him,” he added. Velasquez said he had rented out the property for the last 10 years. At the time of the discovery, the property was vacant, however. The previous tenants, a family, had been evicted for not paying rent and had left the property in poor condition. Construction workers and the homeowner stumbled upon the bones while they were clearing out the backyard. They informed the police immediately after the discovery. Authorities used various methods of verification and determined that the bones were human. Investigators then spent almost two days at the residence unearthing an entire human skeleton. The remainder of the property was checked and investigators determined that no other remains were buried on the property. Authorities said the identity of the victim will be made available by the Sacramento County Coroner’s office at a later date. Sager is being held without bail, according to police.